Summer Southern “Peach Heaven” Brunch! Welcome to the South where the magnolias bloom. 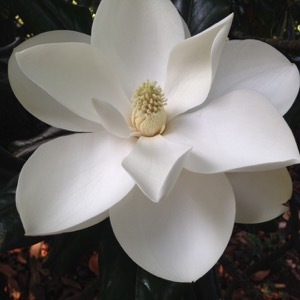 The center of the magnolia bloom (pictured above) looks like a pineapple which is the southern symbol of hospitality. 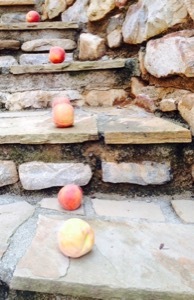 You are now ascending into Peach Heaven. ~ a fun fountain drink! 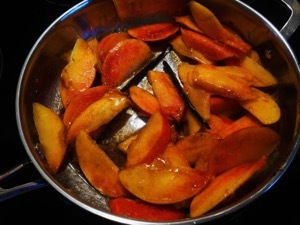 Slice peaches and place in a sauté pan. Cook over medium heat, stirring and mashing the peaches as they cook. 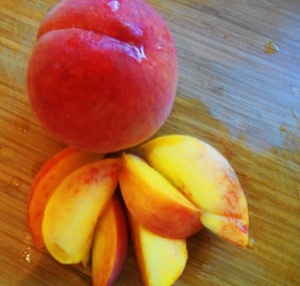 When the peaches are soft and mashed, place them in a blender and blend until liquefied. Rim the champagne glasses (8 ounce size) with superfine sugar or your favorite sugar rimmer by rubbing a fresh cut peach slice around the top edge of a champagne glass and dip the glass rim into the sugar, turning the rim to coat the edge completely. Place the glass in the freezer until ready for service. I like to rim my glass with sugar so I don’t make my mimosas super sweet, but peach schnapps can be added to the mimosa if a sweeter drink is desired. 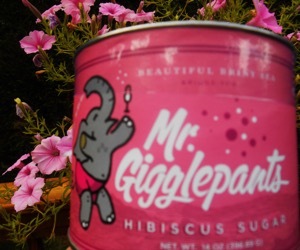 I like Mr. Gigglepants Hibiscus Sugar to rim my mimosa because the name and champagne make me giggle! 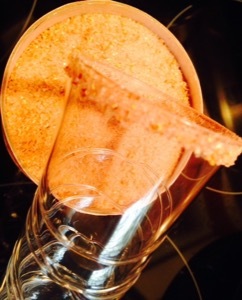 Place one ounce of the peach nectar into a champagne flute. Add one ounce fresh orange juice. Add 3 ounces sparkling wine, champagne or cava. Stir lightly. 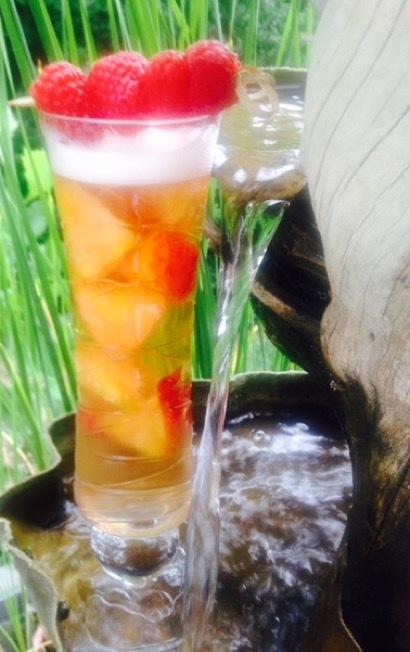 Garnish with small chunks of fresh peach and raspberries if desired. Enjoy! Melt the butter in a large sauté pan. Add the vanilla bean seeds and bean (remove the bean before serving). Add the brown sugar and stir to combine. Add peach slices and sauté over medium heat until soft. Do not overcook because the peaches will become mushy. Set aside. Spread raspberry jam evenly over one half of each croissant. In a bowl combine the milk and egg, whisk to combine. Melt butter in a sauté pan. Dip each croissant half into the egg mixture for one minute, turning several times to coat the croissant. Place the croissant halves in the melted butter and cook for 1 or 2 minutes over medium heat. Flip the croissant and cook the other side until toasty – 1 or 2 minutes. 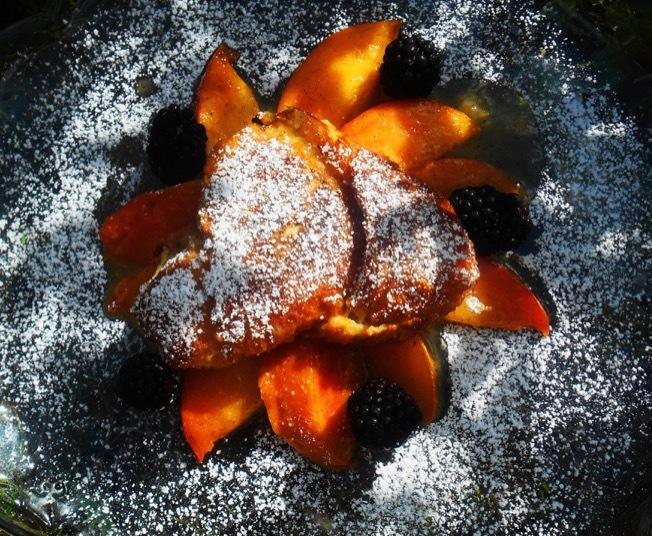 To serve: Place the caramelized peaches on a plate. Place one croissant French toast half on top of the peaches. Garnish with blackberries and powdered sugar (place powdered sugar in a fine sieve and sprinkle powdered sugar over the croissant). Serving Suggestion: Black pepper bacon is a delicious accompaniment to the peachy croissant French toast. The smokiness of the bacon enhances the buttery sweetness of the jam filled croissant and the black pepper is an aromatic and spicy complement to the peaches. My rule of thumb is if it looks like a peach, feels like a peach and smells like a peach then it will taste like a peach. A peach will become more round as it ripens. 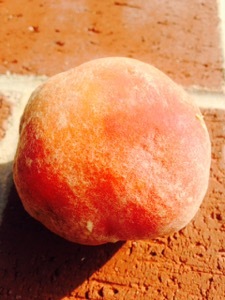 A ripe peach will have medium-soft flesh and will smell like a peach. 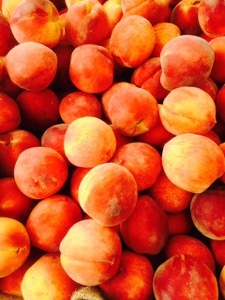 I always purchase peaches in season which increases my chances of getting a peck of delicious peaches. The peaches pictured above on the left may look ripe, but buyer beware…they had very firm flesh and they did not smell like peaches! 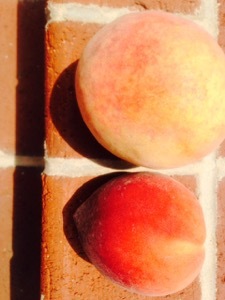 The peach pictured on the right is perfect, medium-soft flesh and most importantly it smells like a ripe peach!